Building disputes can be a legally expensive and very time consuming exercise for all parties involved. When property owners are disappointed with the work that a contractor has carried out, construction disputes can often develop. The property owner may feel the building firm has not undertaken all the work agreed upon, or they may be dissatisfied with the quality of the workmanship. Inspect-A-Home offers mediation services as an impartial third party reporting the facts. The technical expertise and experience, as well as the neutral stance of an Inspect-A-Home inspector, can help parties reach an agreement in an unemotional, professional and expedient manner to avoid the need for court action. 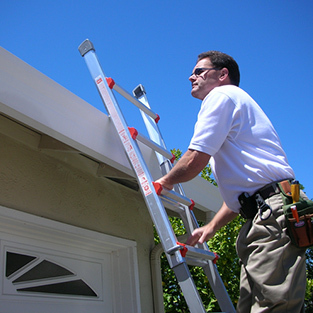 Inspect-A-Home inspection reports are often called upon during arbitration or legal procedures with regard to property and building disputes. Lawyers also use home inspection reports to obtain independent details on the state of a building project and the costs involved in its rectification. These reports are factual, unbiased and based on National Building Regulation requirements and acceptable building practice. Inspect-A-Home will also testify in a court action if called upon to support one of its reports. If building disputes do arise, the first step to resolve them should be to discuss the difficulties with the building firm. This should be done in a non-accusatory and unemotional manner. The aim is to come to a satisfactory decision, and this will be harder to achieve if there is a lot of acrimony between the parties. Trying to get a speedy resolution in construction disputes may be particularly important when building work comes to a halt because of the dispute. This will be a prime concern if the work is being carried out on the family home. You should bear in mind that your building firm will be just as anxious as you are to reach a satisfactory agreement.